The inspiration for Cummings’ work is rooted in nature. She incorporates forms such as ginkgo leaves, spiderwebs, vines, shells, feathers, sea foam, dragonflies, and orchids into her jewelry. Cummings is known for her innovation, trompe d’œil effects, intricate designs, attention to the surface of the metal, and her concern with the smallest of details. Her work has been praised by critics as well as loved by customers. Inspired by flora, fauna, and sculpture, Ms. Cummings’ collection for Assael is museum-quality, featuring a range of motifs and themes. Her exceptional design sensibility is evident in each perfectly balanced detail. 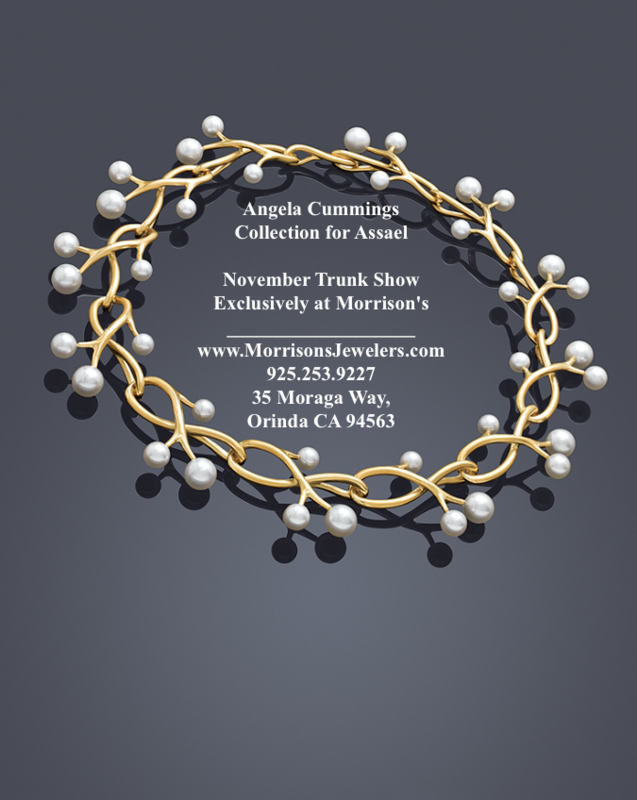 Come down to Morrison’s Jewelers in Orinda, CA to get ready for the Holidays and shop our Angela Cummings Collection! Also check out shop.morrisonsjewelers.com.